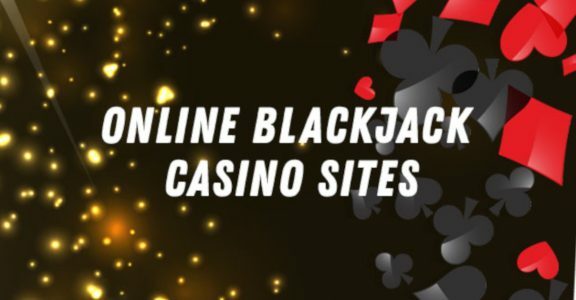 Blackjack is one of the most popular choices, both in land-based casinos and in online ones, mainly because it is relatively simple to understand and also because it is one of the games which actually has a strategy available to gain the edge over the house. While this strategy may not work for all players all of the time, it has certainly led to an increase in interest in the game. Although lots of players lack the concentration, persistence and patience to use the most lucrative strategy – card counting – there is still potential to narrow down the house edge to under 1% when playing blackjack as long as punters learn the basic strategies for splitting pairs, doubling down, standing and hitting. By taking a little time to learn how to play properly, players can maximise their bankroll and increase their chances of being a winner. Blackjack is a card game played with either one or more 52 card standard decks. Each denomination is assigned a value in points, so cards between 2 and 10 have a value equal to that of their face value. Jacks, queens and kings have a value of 10, while aces can be either an 11 or a 1. Players must draw cards to obtain a total that is either 21, or as close to it as possible, without exceeding that number and while getting a higher total than the dealer. The ideal total is “blackjack” – 2 cards which total together to make 21. Blackjack pays the player 3-2, while other winning hands pay off at even money. The only exception to this is if the dealer also has blackjack, in which case the hand ties, or pushes, resulting in the player getting their original wager back. Hit – if a player takes a hit, they receive another card to try to get closer to the desired total of 21. If the player’s hand then exceeds 21, the player is “bust” and will automatically lose their wager. Stand – when a player stands they choose to have no more cards dealt to them, in the hope that their current total is high enough to beat the dealer’s hand. Double down – this is when the player doubles their original wager and receives one further card. Split – when a player has two cards that are in the same denomination, they can then choose to split i.e. make another bet which is equal to the first, splitting the pair and using each of the cards as their first card in two different hands. Insurance – when the dealer has an ace as their face up card, you are able to take “insurance” – a bet the dealer has a card to the value of 10 which will make blackjack. Insurance is taken at half the original wager and will pay at 2-1 should the dealer actually have blackjack. This means that you will break even if you win an insurance bet. While some dealers recommend this, in face it isn’t the best option. As only 30.8% of the cards have a value of 10, taking the insurance bet is poor percentage play. Early surrender – this rare variation cuts the house advantage by 0.624% by enabling the player to surrender half their original wager rather than playing their hand before the dealer checks for blackjack. Being successful at blackjack requires players to know the basic strategy for playing the game effectively. Although the way in which the cards fall is determined by chance, there is some skill required to play the hand properly, and knowing when the split, when to double, when to stand and when to hit is important. By using basic strategy, you can reduce the house edge to around 0.5% in the standard 6 deck game and even lower when fewer decks are in play. In a single deck game in which the dealer must stand on 17s and when the player is permitted to double down following splits, using basic strategy gives players an edge of 0.1% over the casino. When you use basic strategy, you are taking advantage of your chance to see one of the cards in your dealer’s hand, using it to make an educated guess at the outcome so you can choose accordingly how to play your cards. In basic strategy, you assume that the dealer’s face down card will be a 10, as the cards with a value of 10 make up 4 of the deck’s 13 denominations and therefore are the most likely value for any unseen card. So, if, for example, your hand is worth 16 and the dealer has a 7 as their face up card, you should assume their total is 17, and therefore you need to hit your 16 to give yourself the best chance of winning. Counting cards doesn’t mean memorising each card that has been played. While it isn’t this complicated, it isn’t easy either. Counting cards means that you’re taking advantage of the changing odds of the game. If a lot of cards with a value of 10 still need to be played, the odds turn to the player’s favour. Therefore, there’s no need to track all the cards, instead, all that needs to be done is to track the number of aces and 10s. Once the deck has tipped in the player’s favour, they can they increase their wagers. If the deck remains favourable to the house, the player decreases their bets. Counting is achieved using a + and – system. The simplest and most popular counting system assigns a value of +1 to a 3, 4, 5 and 6, and a value of -1 to kings, queens, jacks and 10s. Every other card is considered to be worth 0. In practical terms, this means that each time a card between 3 and 6 is dealt, one is added to the total count. Each time a card with a value of ten is dealt, one is subtracted. The last stage is to adjust your bet to match the count. That means that once your count reaches +2, double your bet, then once it has reached +4, triple it, and then once it has reached +6, quadruple it. The downside to counting cards is that you need a large bankroll since you will be increasing your wager when the deck becomes favourable, and of course, even card counters will lose more hands than they can win, regardless of how good a player they are. Their hope, however, is to make the amount up by winning a larger bet in a favourable situation. Yet, there is no guarantee that a favourable situation will come along as there can be no guarantees in gambling.